Young People’s Participation in Peacebuilding – an Underestimated Contribution on the Way to Sustainable Peace? 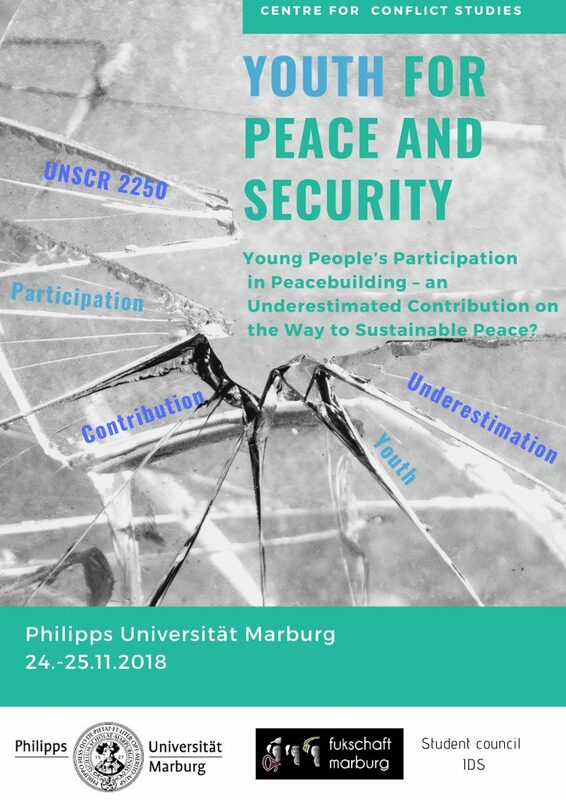 Our conference aims at discussing the emerging field of young people in peace and security which has only very rarely been systematically investigated and gather new insights on their role in sustainable peace. It sets out to critically analyse how young people contribute to peace and to include the role young people play in the study of peace and conflict. Further, we aim to investigate on the importance of the topic and its future in Peace and Conflict Studies research. It advances frameworks and outlooks on young people in peace through, comparative and case analysis and discussions that explore young people’s role in peace and security through approaches, both empirically and theoretically. The conference venue is at the CNMS, Deutschhausstraße 12, in Marburg.  The conference will consist of workshops, panel discussions, talks and open space for brain storming on how we can all together make this issue more visible. Next Post:FuK-Filmreihe, Klappe die 10.!